The Best Moving blogs from thousands of top Moving blogs in our index using search and social metrics. Data will be refreshed once a week. Moving newsletter is a comprehensive summary of the day's most important blog posts and news articles from the best Moving websites on the web, and delivered to your email inbox each morning. To subscribe, simply provide us with your email address. About Blog Since 1999, Moving.com has provided easy-to-use and effective resources and tools to help with local, long distance, and international moving needs. Facebook fans 5,468. Twitter followers 5,392. USA About Blog The Moving Blog is the right place to visit before moving house. Since 2008, we’ve been working hard to provide you with the best moving tips and complete relocation guides that will teach you how to move smoother, faster, and cheaper. Facebook fans 33. Twitter followers 306. About Blog Moving tips is a site made by professionals in the moving industry to help all those tens of millions of people relocating every year. This site is intended to be a one-stop guide for all about moving. We will regularly add new tips and we will commit to keep the content fresh. United States About Blog U-Pack Moving offers flexible moving solutions for any need or budget. In this blog you will get moving tips and advice from the experts at U-Pack. These blog posts, infographics and checklists will help you plan a long distance move from start to finish. Facebook fans 63,259. Twitter followers 3,910. New York, NY About Blog Roadway is a New York City Moving Company providing professional and stress free moving services. Roadway Moving's Blog has expert moving tips and tricks to help you with your next move. Facebook fans 38,762. Twitter followers 534. Brooklyn, NY About Blog Dumbo Moving and Storage, Inc. is a moving and storage company with seven years experience in relocation services. Our expertise includes local, long distance, residential, and commercial moves. Affordability and customer satisfaction are our main priority. We charge a flat fee per item move which gives a stress-free moving experience. Facebook fans 47,405. Twitter followers 10,020. About Blog A blog about the relocation industry, real estate, moving, technology and startup life at Updater. Updater makes moving easier for the 17 million households that relocate every year in the US. With Updater, users seamlessly transfer utilities, update accounts and records, forward mail, and much more. Facebook fans 7,047. Twitter followers 2,475. Facebook fans 5,285. Twitter followers 1,611. Cardiff, Wales About Blog Compare My Move was started by Marc Benger and Dave Sayce in 2012. Our blog brings you news and expert insight from the world of movers, keeping you updated about property and more in the UK and beyond. Facebook fans 5,669. Twitter followers 15,592. About Blog Two Men And A Truck is the largest franchised moving company both in the United States and internationally. This blog bring you the news, tips, advice and resources you need. Facebook fans 80,026. Twitter followers 2,646. Facebook fans 2,447. Twitter followers 991. Tampa, FL About Blog Elite Moving Labor is a nationwide do-it-yourself moving labor company that has been providing professional, reliable and affordable moving labor help since 2004. Learn about do-it-yourself moving options for local and long distance moves. Moving guides and tips to help you choose the right transportation and storage company, and to hire professional moving help. Facebook fans 1,591. Twitter followers 211. United Kingdom About Blog Buzzmove is a fast-growing company - based in the heart of London’s Soho, but with a UK-wide reach. Since then, we’ve expanded from offering removal company comparisons to include everything from help choosing the right mover, to moving guides, to offering great deals with specially selected partners to help you settle into your new area. Facebook fans 294. Twitter followers 13,282. Las Vegas, NV About Blog moveON moving is your Trusted Professional Long Distance Moving Company. Our moving blog has all kinds of tips and tricks to help with your long distance move. Be prepared before your move to make it as stress-free as possible. Facebook fans 2,979. Twitter followers 60. London, England About Blog Fantastic Removals London provides affordable domestic & office removals services. Checkout the Fantastic Removals Blog for a smoother move. Read the posts to learn all the packing and moving tips in the relocation industry. Facebook fans 14,099. Twitter followers 408. Indianapolis, IN About Blog Bekins is one of the oldest and most trusted moving companies in the United States. In this blog you will find the latest Bekins' news, moving tips, and other industry related blogs. Facebook fans 1,651. Twitter followers 2,228. About Blog Agarwal packers and movers are the No#1 in moving solutions in the market. It is the expert in providing household moving and furniture services at competitive prices. We are trusted and reliable packers and Movers Company all over India. United States About Blog Move Matcher is dedicated to providing Moving Companies with quality customers who are moving into a new home or apartment. On this blog yyou will find articles for general moving, seasonal tips, moving & packing tips and moving statistics. Facebook fans 42. Twitter followers 3. About Blog At Corrigan Moving Systems, we pride ourselves on craftsmanship, commitment to customers and the tireless pursuit of excellence. Founded in 1929, Corrigan is dedicated to elevating the moving experience for our customers. Facebook fans 1,242. Twitter followers 187. Facebook fans 862. Twitter followers 1,277. Ottawa, Ontario About Blog Cassidy's is Ottawa's most experienced mover, specializing in residential moving, relocation services across Canada, Ottawa storage and freight shipping. On this blog Read our helpful tips so you can get the most out of your move and your new home! Facebook fans 382. Twitter followers 231. Tamarac, FL About Blog At Colonial Van Lines we love to provide you with the moving resources you need to make your move a smooth one. From tips on how to pack your most important belongings, to easy ideas to make your new home feel more like home, we love to be your guide to everything moving. Our MoveHub moving blog is packed with helpful tips, be sure to check them. Facebook fans 123. Twitter followers 161. Indianapolis, IN About Blog Wheaton World Wide Moving is a premier provider of transportation services -- from residential household goods relocation to corporate transferees. Wheaton provides a one-stop shop for the latest Wheaton news, moving tips, resources and other industry related blogs. Facebook fans 1,730. Twitter followers 3,007. New York, NY About Blog Moishe’s is a full service moving, storage, and hospitality business. Our moving company serves both individuals and businesses in the New York City area. Moishe's Moving and Storage Blog Check out our posts for tips on moving, packing, storing, decorating and relocating. Orlando, FL About Blog Megan’s Moving is a Central Florida moving company with a woman’s touch. Our mission is to make your move as easy and stress-free as possible. Facebook fans 540. Twitter followers 163. Facebook fans 2,273. Twitter followers 8. Leslieville, Toronto About Blog In 2010 Cargo Cabbie set out to revolutionize the moving industry in Toronto, and we haven’t stopped since. We provide the highest quality moving and packing services and the most outstanding customer service, all while remaining a local company to the core. Facebook fans 589. Twitter followers 9,918. Pompano Beach, Florida About Blog American Van Lines is one of the premier cross country and long distance moving companies throughout the U.S. Experienced & Reliable Movers. Our Moving Blog has all the advice you need for a stress-free move. Facebook fans 1,280. Twitter followers 385. Services all US regions About Blog Coleman Worldwide Moving is a global moving, storage and relocation company that is committed to serving the needs of corporations, governments and individuals. Coleman is a family company and it is one of the largest privately held transportation companies headquartered in the Southeast. Read about what's new on our blog. Facebook fans 2,682. Twitter followers 1,363. Facebook fans 3,964. Twitter followers 1,477. About Blog Champion Movers is a full-service long distance moving company that specializes in local and long-distance moving. Read Champion Movers blog for more info on moving and everything surrounds the industry in our blog we try to bring news, useful tips and general info. Alexandria, VA About Blog MyTruckBuddy.com (MTB) specializes in helping people with their small, local moves, rental truck loads and unloads. Facebook fans 836. Twitter followers 289. 4419 W Irving Park Rd, Chicago About Blog H2H Movers is a professional moving company based in Chicago and serving seven Illinois counties that include Cook, Lake, McHenry, DuPage, Will, Kane, Kendall and Kankakee. Facebook fans 1,066. Twitter followers 3,020. Ft. Worth, Texas About Blog Invoke Moving is a family owned full-service value based moving company. Our mission is to provide our customers a moving experience that is not only time efficient, yet a stress free move to new home. Facebook fans 532. Twitter followers 306. Dallas,Texas About Blog Garrett’s Moving Inc is a full service moving company that offers residential, corporate and employee relocations, specialty moves and self storage in DFW. Facebook fans 141. Twitter followers 45. About Blog Writer Relocations Moving with a wrong company can lead you to a horrifying experience! Always ensure that you select the original company for a peaceful and superlative move experience. Facebook fans 1,437. Twitter followers 23. Toronto, Ontario About Blog Firemen Movers is a professional moving and storage company owned by professional firefighters. Firemen Movers writes articles that will help you when shifting. In this blog you will get advice from the relocation experts. Facebook fans 263. Twitter followers 88. Manassas, VA About Blog Able Moving & Storage, Inc. is a full service, professional moving company that provides local, nationwide, and international moving services. We are a family-owned and operated moving company, and we've been in operation for 29 years. Read our blog for info on professional moving companies in northern Virginia, Maryland, & Washington DC, office relocation & storage services, too. Facebook fans 926. Twitter followers 188. About Blog Noah's Ark Moving & Storage has the expertise and resources to make your Local move a success. We are committed to providing outstanding customer service and quality moving. Facebook fans 1,879. Twitter followers 3,121. Portland, OR About Blog Bridgetown Moving & Storage is your friendly Portland Moving Company. We specialize in residential moves and take pride in moving Portlanders every day. Here you will get moving & storage tips and techniques to make your move in the Metro Portland area as stress-free and pleasant as possible. Facebook fans 1,848. Twitter followers 64. Toronto, Ontario About Blog Armstrong Moving has been successfully relocating families locally, nationally and internationally since 1963. Our blog provide news and useful information about our local & international relocation services. Facebook fans 290. Twitter followers 824. New Delhi, India About Blog We Provide Best Packers And Movers Gurgaon List for Get Free Best Quotes, Compare Charges, Save Money And Time, Household Shifting Services. Facebook fans 881. Twitter followers 4. Toronto -- GTA About Blog Tower Moving is Toronto’s best local moving company offering residential & office moving services. Facebook fans 417. Twitter followers 1,081. San Jose, CA About Blog All Reasons Moving & Storage is a full service moving and storage company serving the Bay Area. Facebook fans 744. Twitter followers 105. About Blog Mountain Moving & Storage provides moving services and storage solutions for individuals and families in the Metro Tacoma and Seattle, WA areas. Moving blog full of important information, tips and current events, relevant to the moving and storage industry. Sydney, Australia About Blog Citymove are the reliable and best removalist you need when you are moving household items and personal effects around the corner or around the world. Facebook fans 2,619. Twitter followers 672. Saint Louis, MO About Blog The premier moving and storage company in the St. Louis area. Cord Moving and Storage coordinates moves for businesses, families and corporate employees originating anywhere in the world. Facebook fans 282. Twitter followers 126. Chicago, IL About Blog Elite Moving & Storage is a full-service moving company that can handle your moving and storage needs. On this blog you will find blog movng tips to help our customers navigate through the stresses of moving. Facebook fans 799. Twitter followers 204. Boston, MA About Blog Isaac’s Moving & Storage is your trusted choice for quality & affordable moving services . Isaac's Moving & Storage blog is your local expert for moving tips, tricks, and information. Facebook fans 448. Twitter followers 303. Euless, Tx About Blog Olde World Movers is a local moving company in Dallas Fort Worth Texas. We specialize as a Piano, Antique and Residential Local Mover. On the Olde World Movers blog, you will find various moving, packing and storage tips. Facebook fans 9,038. Twitter followers 83. Bay Area & Northern California About Blog Magic Moving & Storage provides the best quality moving service you can rely on! Moving within the San Francisco Bay Area, an interstate move or across the globe. Facebook fans 386. Twitter followers 498. About Blog Since 1957 Global Van Lines has been providing residential and commercial customers with a superior customer experience in moving. Global Van Lines has a few tips how to make your move hassle free. Read our latest moving tips! Facebook fans 31. Twitter followers 36. United Kingdom About Blog Get Removals Companies quotes for moving abroad. Quickly and easily get up to 6 quotes from different companies for your international move. St. Paul/Rochester, MN About Blog Metcalf Moving is a Residential, Commercial and Portable Storage Mover. Metcalf Moving has been serving the Twin Cities since 1919. We move people and businesses locally, nationally, and internationally. Here you will find moving articles, moving checklists & packing tips. Facebook fans 89. Twitter followers 863. Tallahassee, FL About Blog AMWAT Moving Warehousing Storage, agent for Wheaton World Wide Moving provides expert household and business moving and storage solutions. The moving maven blog is a source for moving tips, moving news, packing tips, & much more. Facebook fans 1,310. Twitter followers 1,175. Sterling, VA About Blog The spirit of Our Guys is to be helpful. Our goal is to provide outstanding customer service and support before, during and after each move. With over 35 years of success in the moving and storage industry, the experts of Our Guys Around Town Movers can make your move an easy and enjoyable experience. Read our local and long distance moving tips and news in Our Guys Around Town Movers blog. Facebook fans 343. Twitter followers 15. Melbourne and Orlando, FL About Blog Sorensen Moving Company was started in March of 1956 by William H. Sorensen. In this blog you will get helpful moving tips and information from Sorensen Moving & Storage. Learn the best way to pack your kitchen, recycle moving boxes and more! Facebook fans 516. Twitter followers 135. Chicago About Blog Midway Moving is happy to celebrate 30 years as one of Chicagolands largest independent Moving Companies and Proud Mover of the Chicago Cubs! We specialize in Local, Interstate, and Commercial Packing and Moving Services as well as climate controlled warehousing and storage. Facebook fans 262. Twitter followers 848.
colorado About Blog Billy Goat Moving and Storage was founded in 2005 in Fort Collins, CO by Brandon Fry and Jack Mullins, and began as a small, independent, local moving company. Facebook fans 387. Twitter followers 10. Portland, Oregon About Blog Master Movers is Portland’s most trusted professional moving company. In this blog you will find tips and tricks of the moving trade to make your move easier from commercial and residential moving experts. Facebook fans 323. Twitter followers 140. New York City/Long Island About Blog Quality Moving & Storage has been in business for over 20 years, and in that time we've become a BBB-accredited business with an A rating and a ProMover-accredited member of the American Moving & Storage Association (AMSA). We strive for total customer satisfaction with our easy, efficient moving services. Facebook fans 104. Twitter followers 100. About Blog We pride ourselves as one of Auckland's leading removals companies. With a strong focus on high quality workmanship, experienced and back-ground checked staff and attention to customer experience, it is no coincidence that over 90% of our bookings are word-of-mouth and referral based. Little known fact but "moving" ranks third in the list of most stressful events in life, make sure you have a great team when you do. Facebook fans 338. Twitter followers 8. Novi MI and Grand Rapids MI About Blog Premier Relocations LLC is an established, licensed and insured, full-service moving and warehouse storage company based in Michigan. In this blog you will get the best moving tips for your local, cross-country, or international move! Facebook fans 1,779. Twitter followers 483. Portland, OR About Blog Smooth Move People, now Portland’s most reliable and affordable moving company, all started with one guy on a strawberry farm. His name is Greg. Facebook fans 28. Twitter followers 57. About Blog Execu-move offers a full range of national and international removals, the experience and technical expertise. Our aim is to make your moving day go as smoothly as possible. Our Blog supplies insights and useful tips for moving locally & internationally. Facebook fans 2,666. Twitter followers n/a. rockville md About Blog Tristate Moving & Storage Company offers residential and commercial moving and storage services throughout Montgomery County, MD, VA & DC. In this blog you will find Residential, Commercial, Storage & Moving Tips. Facebook fans 727. Twitter followers 19. Phoenix, AZ About Blog Read Muscular Moving Men's online blog today to find information about hiring professional movers, helpful moving tips and resources. Facebook fans 2,376. Twitter followers 245. New York About Blog Liberty Moving and Storage is a leading agent for United Van Lines whose mission is to deliver the highest quality moving and storage services to each of our valued customers. About Blog Focus Moving Services Inc. was established in 2010 to offer professional moving services at fair and competitive rates. Focus Moving Services Inc is a leader in the moving industry; offering a wide range of services for local moves, within Canada, to the USA or anywhere in the world. Alabama About Blog Top Licensed Moving & Packing Company providing Professional, Full-Services Moves. Residential Apartments, Commercial Offices, Homes Storage Units, Entire House Furniture Moves in Birmingham, Vestavia Hills, Mountain Brook, Homewood, Helena, Pelham, Hoover, Alabaster, Trussville, Chelsea, Irondale, AL. Phoenix,AZ About Blog Moving Team Six is a national moving company headquartered in Phoenix with an A Better Business Bureau rating that specializes in customer service and affordable moving services for residential moving services throughout Maricopa County and Arizona. Facebook fans 5,881. Twitter followers 502. San Diego, CA About Blog RCI strives to deliver exceptional relocation solutions for our clients who have a diversity of needs, programs and cultures. Staying true to our singular focus enables us to create optimal programs that address talent acquisition, retention, regulatory compliance and cost management. Our values and people are the foundation of our company. We hire the best in the industry who demonstrate integrity, commitment and a drive for quality every step of the way. Facebook fans 101. Twitter followers 553. New Orleans, LA About Blog Atmosphere Movers is one of the top moving companies in Louisiana, and renowned for its fair pricing, honorable service and a long line of satisfied residential and commercial customers. Facebook fans 962. Twitter followers 1,092. About Blog Stallion has established an excellent reputation with Edmonton homeowners, condominium managers and corporations. This reputation is built from our basic philosophy, to provide an efficient, personal moving service in an honest and trustworthy way. Facebook fans 176. Twitter followers 39. Waukesha, WI About Blog We Are Your Affordable Waukesha Moving Company Brothers Moving & Storage. Read up on fresh moving tips and news on the Brothers Moving & Storage moving company news page. Facebook fans 145. Twitter followers 12. Nashville, TN About Blog Fox Moving & Storage is a locally owned and operated moving business specializing in homes, apartments, offices, condos and retirement homes. Fox Moving blog covers moving tips & Nashville News. Facebook fans 331. Twitter followers 461. About Blog A Moving Company You Can Trust. Backed by more than 30 years of experience in the industry, our professional and courteous team has the knowledge and skill set to handle any situation. We are happy to provide a moving tip blog in Columbus, Ohio. West Park, FL About Blog Specialty Moving Services is a full-service moving company that provides origin and destination services in South Florida. A moving and packing blog by Specialty Moving Services. Find helpful moving and packing tips,advice,guides and more to make your relocation easy. Facebook fans 122. Twitter followers 1000. Boston, MA About Blog We at Nationwide Movers specialize in full service, long distance and international moving, including all packing and crating needs. We also have a commercial division specifically for office and industrial relocations. Facebook fans 157. Twitter followers 4. Clearwater, FL About Blog Big Man's Moving Company is a full service moving and packing company. We are a family-owned business and based in Clearwater Beach, FL. Facebook fans 348. Twitter followers 2. Alexandria, VA About Blog Welcome to OjaMove, the world’s only platform to shop for the services of movers and cleaners. OjaMove makes it possible for service providers to sell their services a la carte. The platform includes service display through a free and customizable profile, online ordering with no payment requirement, and service price management. Facebook fans 158. Twitter followers 561. Toronto, Ontario About Blog The Six Moving Company Best of Toronto Movers. Call Us To Get Your Move Started! Read our blog to be ready and informed with all the moving tips & DIY ideas. At The Six Moving we provide latest posts on Moving & Packing, Tips and Tricks. Facebook fans 38. Twitter followers 57. United Kingdom About Blog Moving Home Made Easy is a moving company that takes all the responsibility of packing, storing and relocating of homes in Glasgow and the surrounding. Here you will find some ingenious tips & tricks to make move day much less painful. Facebook fans 577. Twitter followers 13. Phoenix, AZ About Blog Dircks is a full service Moving and Logistics company that specializes in residential, commercial and industrial moving. Read Dircks Moving & Logistics blog for residential and commercial moving tips and information. Here you will get helpful moving tips and resources. Facebook fans 811. Twitter followers 1,280.
maitland fl About Blog Cento Family Moving & Storage is a family-owned and operated local moving company, offering both residential and commercial moving services. Facebook fans 683. Twitter followers 18. Jonesboro, AR About Blog Movers in Jonesboro, AR and Conway, AR is affordable and serves best quality in J&B Movers. Here you can read and get ideas, tip, info on moving checklists and more by the expert movers in Arkansas. J&B Movers tells you on various aspects of moving. Facebook fans 611. Twitter followers 17. Palm Beach County, FL About Blog Meehan's Family Moving offers a variety of local, long distance, and commercial moving services. You will get the latest on Meehan's Family Moving and South Florida Moving Tips on our blog. Facebook fans 578. Twitter followers 39. About Blog Merchants Moving was Founded in 1944, hard work and dedication were the cornerstones on which we built this company. In this blog you will find news, moving tips, resources and other industry related posts. About Blog Advance Moving & Storage is a moving company dedicated getting you there. In this blog you will get ips from our expert movers at Advance Moving & Storage. Facebook fans 452. Twitter followers n/a. Norfolk, VA About Blog Welcome to Scott's Oceana Moving, your local moving service that provide long distance moving, packing services and more. Our mission is to provide a fast, reliable, and courteous moving service to put our customers at ease. Facebook fans 296. Twitter followers 169. Charleston, SC About Blog Azalea Moving & Storage is one of the top residential and commercial moving companies in the South. Our company was founded in Charleston in 1982 and moved to our current location in 1989. Facebook fans 269. Twitter followers 34. About Blog Matheson Transfer Moving has been a leader amongst full service moving companies in Pennsylvania since 1940. Matheson has come a long way since we first opened in 1940 and offers a variety of comprehensive moving services and storage solutions. About Blog Smart Price Moving and Logistics LLC is a fully licensed and insured local moving company based in Clifton, New Jersey. You will learn time-saving (and sanity-saving) moving tips, tricks, and hacks—like questions to ask professional movers, how to pack fast and more on the SPM blog. Indianapolis, IN About Blog Crown Moving & Storage is committed to providing you with premium moving and storage solutions for your home and business. Read up on all of the moving news on Crown Moving and Storage's blog. Facebook fans 79. Twitter followers 237. Pittsburgh, Pennsylvania About Blog Weleski Transfer specializes in domestic, international, local and commercial moving and storage. Check out what is going on with your Pittsburgh movers at Weleski Transfer, and the moving tips and moving news they share on their moving company blog. Facebook fans 139. Twitter followers 101.
newcastle nsw Australia About Blog TimeRite Removals Newcastle and Maitland is the moving company of choice for your next relocation. With everything you have to think about during your upcoming relocation, you shouldn’t have to worry about the actual move itself. On this blog We’ve compiled some helpful tips about packing for a move, advice on how to choose a removalist, and what you need to know about moving insurance. Facebook fans 100. Twitter followers 8. About Blog AMWAJ Movers is one of the best Relocation Companies Dubai which is providing its efficient home moving services from many years. Facebook fans 3,728. Twitter followers 1,014. Virginia, USA About Blog This blog exists to help you prepare and plan for a smooth move. You can get some of the most helpful tips and other information to ensure your move is both efficient and affordable with the help of Carmack Moving & Storage. Facebook fans 635. Twitter followers 14. About Blog Everything you need to know about self storage, moving tips and tricks, frugal living and neighborhood advice. Stockton, CA 95203 About Blog Mid Cal Moving & Storage is a trusted Stockton moving company offering an extensive array of cost-efficient commercial and residential services. In this blog you will find moving tips and more. United States About Blog Move it Cube it is a modular shipping container system that makes transporting goods easy and cost-efficient. The Cuber Corner is a unique, industry-specific moving blog that provides high-quality moving advice, tips, and hacks that you can always trust. Facebook fans 15. Twitter followers 3. About Blog The moving blog from Sprint Mover will help you to save time, money and nerves during relocation. So you keep everything under control with the right planning and organization. About Blog One of the benefits of being an independent and experienced office services company, is that The Crew is able to provide individual customer service and flexibility from the planning stages through delivery and installation. London, United Kingdom About Blog Moving Home Company has been offering professional and customer-centred service in the UK and worldwide for over 30 years. Facebook fans 1,235. Twitter followers 213. Brighton-Redhill-Eastbourne About Blog Love Removals is a Brighton based Moving and Storage Company. Love removals blog is your source of useful help and tips for moving day. Facebook fans 191. Twitter followers 88. DFW TX About Blog Wise Moving is a family owned and operated moving company. With over 16 years of experience of being in the moving industry we learned a lot about the industry and all the headaches and unprofessional companies that come with it. That is why Wise Moving sets itself apart from other moving companies with its experienced movers and outstanding customer service. Facebook fans 80. Twitter followers 37. CONGRATULATIONS to every blogger that has made this Top Moving Blogs list! 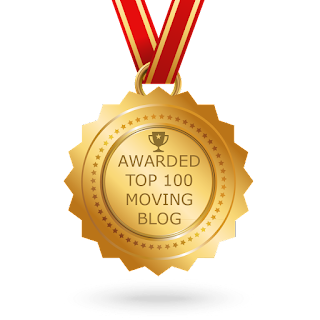 This is the most comprehensive list of best Moving blogs on the internet and I’m honoured to have you as part of this! I personally give you a high-five and want to thank you for your contribution to this world.